If you want an office machine that you can rely on then a Xerox brand machine is the right option for you. Xerox is the best brand for those who need a great office machine that will deliver consistent results while not breaking your budget. We are proud to partner with Xerox at Denver Copier and that’s because they are a company that has proved themselves time and again. Xerox has decades of experience in modernizing the office work environment. 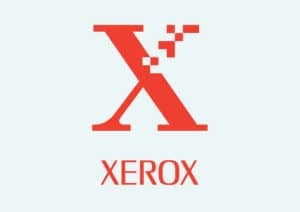 They have pioneered so many innovations in the office environment that it’s hard to imagine what it would be like it Xerox wasn’t around. Just hearing the name Xerox can make just about anyone think of a busy office. We are proud to sell Xerox at Denver Copier. They have outstanding machines that will stay with you for the duration of your lease. Their machines are built to last, and when you team up with our staff at Denver Copier it’s hard to not end up with an office solution that you will love. Xerox also has the Xerox Total Satisfaction Guarantee for all of their copiers when you sign a lease with Denver Copier. This will allow you to get your copier fixed or replaced for free if you experience difficulties within the first year of your lease. This helps to make sure that you don’t end up with a machine that isn’t going to work for you.